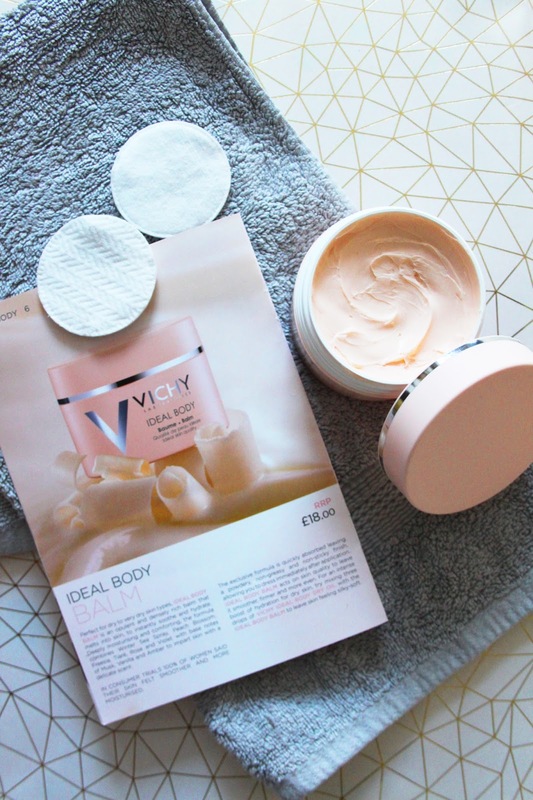 You don’t need me to tell you how much I love Vichy and all of their skincare. I’ve lost count of how many times I’ve repurchased their Dermablend Foundation because it’s the only thing that doesn’t break my skin out, so when i heard about their newest line of bodycare I knew they were on to a good thing! 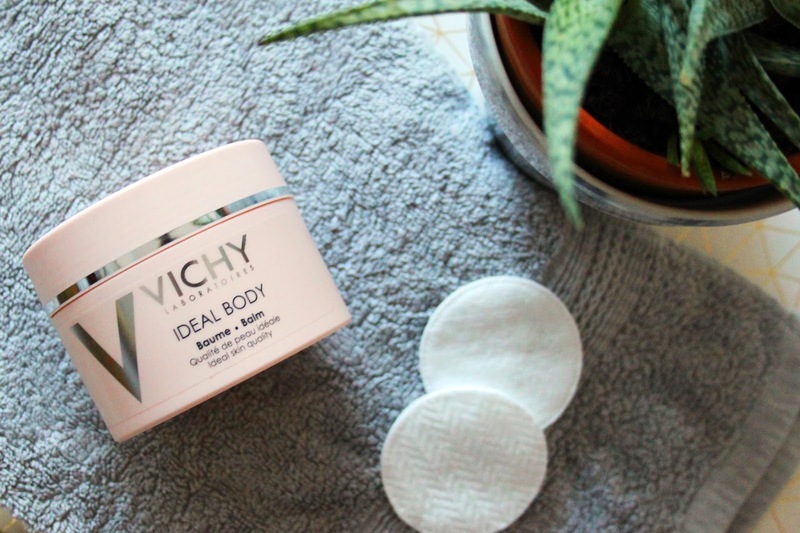 The new Ideal Body range is designed to visibly transform the look of your skin and consists of four brand new (beautifully packed in powder pink) body products. The collection consists of the Dry Oil, Serum-Milk, Hand & Nail cream and the one that I’ve been trying out, the Ideal Body Balm. 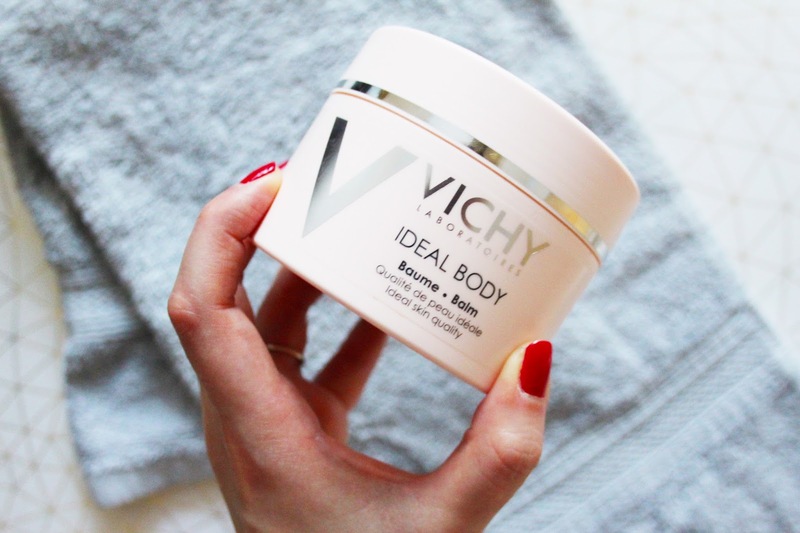 The Ideal Body Balm is recommended for those with dry to very dry skin types – perfect for me as I suffer from dry skin on my body, especially at this time of year! It’s rich in texture and smells lovely, with notes of rose, peach blossom and vanilla to name a few. The great thing about this balm though that sets it apart from similar moisturisers and body butters, is that it doesn’t leave the skin feeling sticky. Once applied, it quickly absorbs and melts in to the skin and leaves a powdery non-greasy finish that means you can dress almost straight away. It leaves the skin feeling incredibly silky smooth and moisturised without any residue on clothes, which is perfect if you’re in a rush to get wrapped up after your morning shower now that the weather is getting colder! As I expected, I’m super impressed with this and can’t wait to give a couple of the other products in a range a whirl. I’ve definitely noticed a change in my skin’s texture, particularly my legs, since I started using this a couple of weeks back, so I’ll be sticking to it to stay moisturised through the winter months. 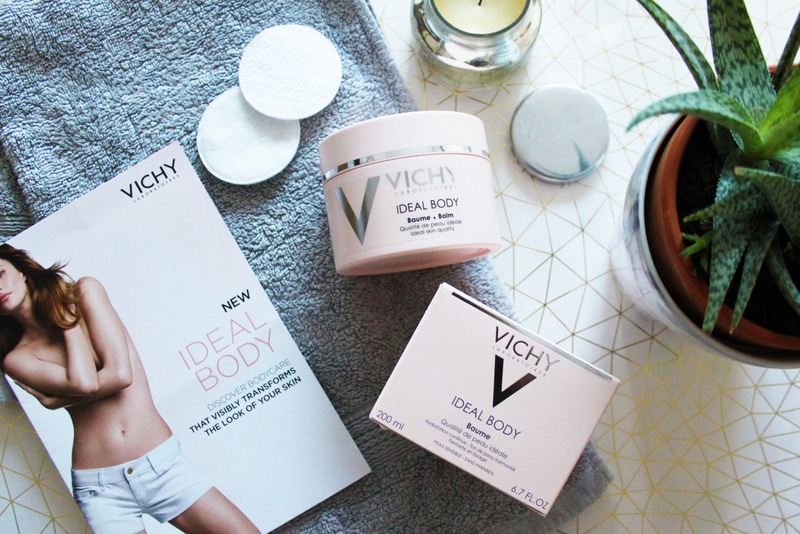 If you’re looking to try the Ideal Body Balm or any other pieces from the Vichy Ideal Body collection, you can find the range at Boots! "THE PERFECT HOME FRAGRANCE | AMARA"